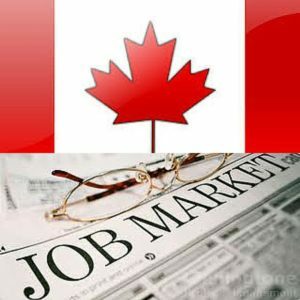 Workopolis is Canada's largest and most popular online job site. We've been helping Canadians find jobs and connecting employers with the high-quality candidates they need since 2000. In addition to the millions of monthly visitors to our website, Workopolis reaches people with opportunities across the web through exclusive partnerships and community sites as well as through innovative use of social networking sites and mobile device functionality. Workopolis is also the largest pool of resumes available within Canada! Summary: Created in 2000, Workopolis is the child of a partnership between the Globe and Mail and Toronto Star. A third partner (Gesca Limitée) also joined the duo two years later to make the generalist job board one of the leading job boards in Canada. From 2006 onward, Torstar and Gesca shared the website equally; that is, until this year when the Recruit Group bought it in April and put Indeed in charge. Since then, there has been a steady drop in views, which have dropped to 1.61 million views per month (and it used to be almost double that just 6 months ago). No more blog, no more youtube videos, no more social media posts (for their 90 429 Facebook followers and 18 600 Twitter followers) and only half of the activity comes from Canada… Is this a slow end to Workopolis? Design: The design is simple: the homepage is basically just a search engine (keywords and location), and you need to type something to access the job listings, or you can browse jobs, but you still need to go through different categories (location, keyword, job function or company). The job offers appear in order of relevant or newness, with the job title, company, location and publication date visible. A job offer is automatically open. For filters, you need to go through the “refined search” (location, job type, company, job source). The job board objective: Originally, the idea was to host all the interesting job offers in Canada in one place. Right now, it seems like it is becoming obsolete. Recruiter observations: It does not even seem possible to post directly onto Workopolis anymore. Jobseeker observations: It is not possible to create an account and there is no need because you are always redirected to a career page. The job offers: They make it very difficult to get an idea of how many job offers are currently on the website and they remove the publication date if the offer is over 15 days old (some are months old). Reactivity: They answer quite quickly and are very helpful. Special features: Job alerts; the blog (what’s left of it); the youtube videos. Verdict: It seems a shame that Indeed should take over Workopolis just to watch it sink. It is kind of sad using Workopolis, knowing they really put time and effort into their marketing and that everything has just stopped. It’s still easy to use, but it is only useful for a jobseeker. Login here for FREE to unlock access to the traffic audience, content and pricing section for more information on Workopolis. Candidates can also post their resumes online in order to quickly and easily apply to opportunities from anywhere, and to be discovered by one of the top recruiters who search our database 16,000 times a day. Workopolis is also the country's go-to source for the latest career news, insights and advice.